The house and senate voted overwhelmingly last week to make the enhanced federal tax incentives for those who preserve land with conservation easements permanent. 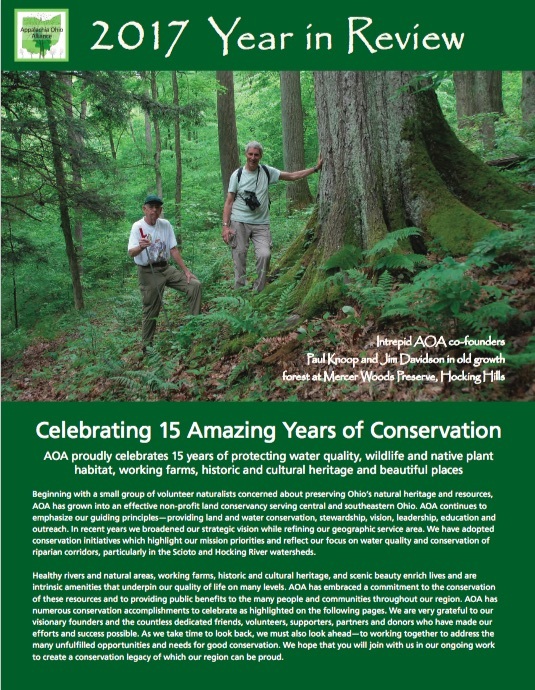 Land trusts like AOA have been collaborating with other conservation and outdoor groups to achieve permanence. We welcome this action by congress. The enhanced incentive was first passed in 2006 and has been extended several times. Making the incentive permanent will clarify the tax rules for donors and support conservation by private land owners. The attached press release from the Coalition of Ohio Land Trusts provides additional information on this accomplishment. We would like to thank all of our friends and supporters who helped with this conservation achievement!